One of the reasons why people don’t sign up to retirement plans with their employers, is because they do not expect to stay in that employment very long. Unfortunately, that is the wrong decision to make, because retirement plans can be carried over between employers. What you must remember is that all retirement plans have a tax umbrella – either you don’t pay tax when you make your contributions, or you don’t pay tax when you withdraw it. Hence, you should always sign up to a plan if one is available, and simply know how to move them over when you change jobs. 1. If your new employer offers the same type of retirement plan as your past on, such as a 401(k), then you can simply transfer the money over into the new plan. This is very beneficial, because you will have a single account in which all your savings are held. 2. 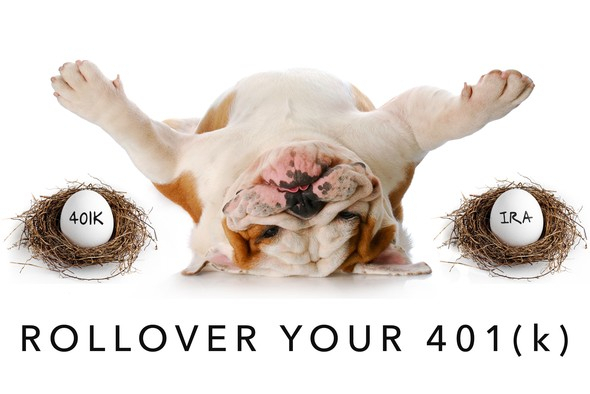 You can keep your existing 401(k), so long as it has a balance of $5,000 or above. This means that you can stay in the investment that you are familiar with, keep the fees that you have been paying, and can make penalty free withdrawals so long as you are over 55. However, there could be some limitations in terms of when and how you can withdraw from your savings. They may have higher fees than in mutual funds, and it can be hard to keep track of it. In the worst case scenario, your heirs may miss out on their tax advantages. 3. You can start a rollover IRA, which is the most common option. You can roll an unlimited amount of money, and you can choose the IRA that your administrator offers. Doing this is very attractive, particularly if you are with a mutual fund group that is classed as “no load”, with a discount broker, or with a low cost retirement plan firm. Alternatively, you can roll it over to a different IRA firm, particularly if the new firm is one of the ones previously mentioned. It is always a good idea to make a switch if you have a 401(k) that is managed by advisors who charge you a sales commission. These types of plans tend to hold high cost mutual funds. If you currently have a 457 or 403(b) plan, you should also switch, particularly if they can only make variable annuity or fixed investments. Word of warning: if you receive any unsolicited calls, visits, or emails from anyone presenting as an “adviser” making recommendations for your roll over, you may want to go towards the opposite direction. 4. For those with multiple plans in place, the best option is to consolidate them into one IRA. It is too hard to keep track of lots of them on their own, as well as being more expensive. 5. If you want to purchase single stocks, which is not a very good idea unless you really know what you’re doing, you can roll your plan into a self-directed IRA. Do choose one through a reputable firm, however.